I don’t often think in terms of affect, but I’ve talked enough with Danae Faulk to be mildly familiar with the perspective/vocabulary. (Donovan Schaefer has also given me much to think with in this regard, though I wrote what follows before reading his book.) In fact, while she and I were both at Missouri, we talked about affect theory to the extent that we together sketched out (literally: chalkboards, Lincoln-esque charts, and all) a Durkheimian rehabilitation of Eliade’s irrupting Sacred. I wouldn’t dare attempt to put flesh on this old skeleton here…instead, what I’d like to do is explore for a moment the relationship between feeling rules and sacred space. In our many conversations about affect theory, Danae made frequent reference to Arlie Russell Hochschild’s 1979 article “Emotion Work, Feeling Rules, and Social Structure.” I have yet to read the entire article, but together with what I recall from prior discussions, the abstract (below) provides a workable framework for affect-amateurs like myself. The key points here are: (1) “Emotion…can be and often is subject to acts of management. The individual often works on inducing or inhibiting feelings so as to render them ‘appropriate’ to a situation,” and (2) “Feeling rules are seen as the side of ideology that deals with emotion and feeling.” In other words, one way ideologies operate in the world is prescribing how people ought to feel in certain circumstances. Though they pretend to be, these rules are not based on anything inherent in the world; rather, they imbue situations with value of one kind or another. In this context, I want to make the case that feeling rules are one of the means by which human beings actively constitute specific places as sacred. Ānanda, there are four places the sight of which should arouse emotion in the faithful. Which are they? “Here the Tathāgata was born” is the first. “Here the Tathāgata attained supreme enlightenment” is the second. “Here the Tathāgata set in motion the Wheel of Dharma” is the third. “Here the Tathāgata attained the Nibbāna-element without remainder” is the fourth. And, Ānanda, the faithful monks and nuns, male and female lay-followers will visit those places. And any who die while making the pilgrimage to these shrines with a devout heart will, at the breaking-up of the body after death, be reborn in a heavenly world. 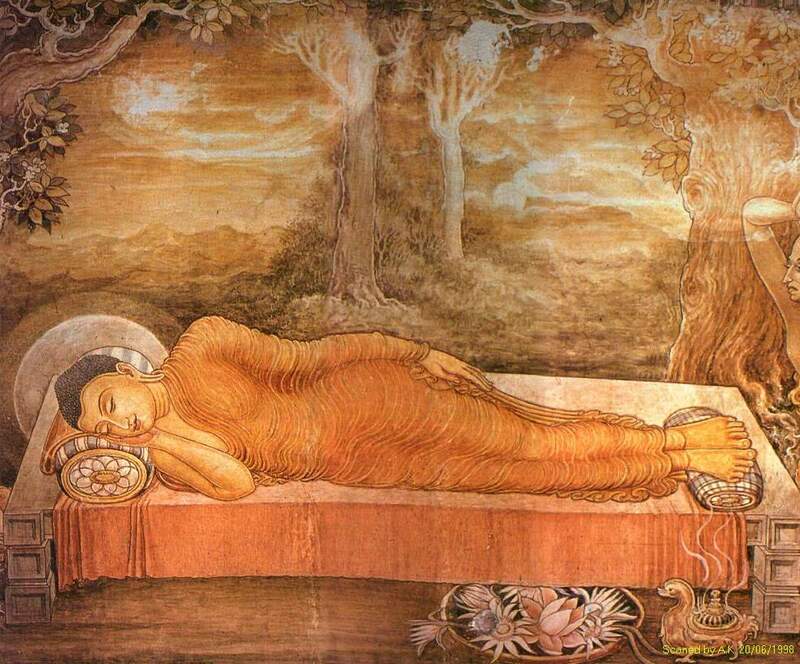 The Buddha tells Ānanda that proper buddhist subjects ought to feel a certain way in four places. Each is perfectly capable of producing the proper emotions (and more!) by virtue of what happened there. The onus is on the individual to feel them. Given the context, these emotions are presumably meant to equal/replace/mirror the good vibes one would have felt hanging out with the Buddha during the rainy season. Those of an Eliadean bent might interpret this excerpt as depicting some residuals of the Sacred’s irruption into the profane world. But in light of Hochschild’s framework we see the excerpt as working to privilege certain places over others by telling people already interpellated as buddhist subjects to feel as though they’re in the Buddha’s presence when they go there. In the event that one of these places doesn’t “arouse emotion,” it’s no fault of the place. That person just needs to learn how to feel. This entry was posted in Adam Miller, Buddhist Studies, Religion and Society, Religion and Theory, South Asian Studies, Theory and Method and tagged Adam T. Miller, affect theory, Arlie Russell Hochschild, Buddhist Studies, Danae Faulk, Donovan Schaefer, Emile Durkheim, Feeling Rules, Ideology, Indian Buddhism, Mircea Eliade, Sacred Space. Bookmark the permalink.